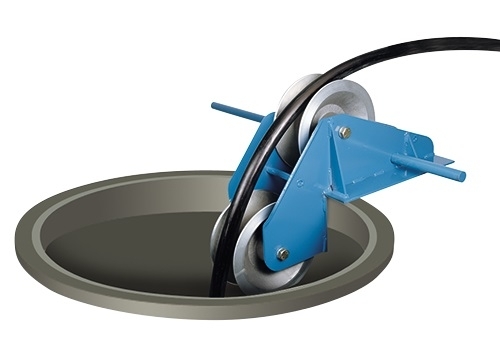 Aluminum and Nylatron® sheaves for pulling cable into manholes. 5,000 lbs. (22,240 N) cable tension load capacity. 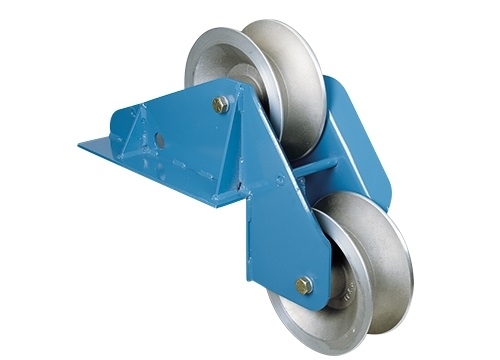 See Specifications and Selection Charts on page 113 for Replacement Sheaves.